Of all the rooms in the house, it’s only natural your dog or dogs should have a particular affinity for the kitchen. Dogs are scent and appetite-driven animals, and the kitchen is where the best smells and tastiest foods are found. Not to mention, the kitchen is often a very social place for many households, a place where family members gather to talk, relax, and yes—eat. 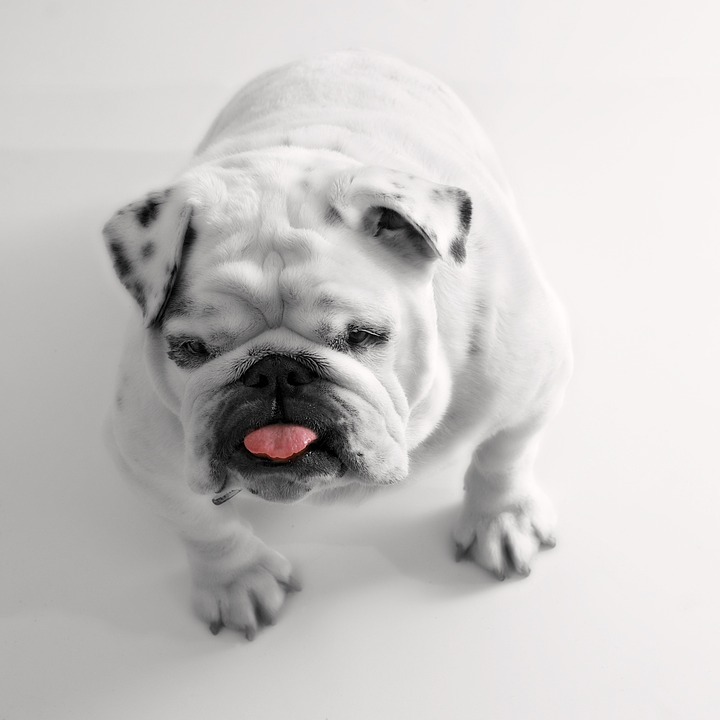 When there’s less supervision, many larger dogs are also prone to rummaging through the kitchen trash for food scraps, snatching up humans’ food before they can eat it, or even getting into pantries or refrigerators. This makes a mess of course, but it can also lead to injury or illness on the dog’s part. 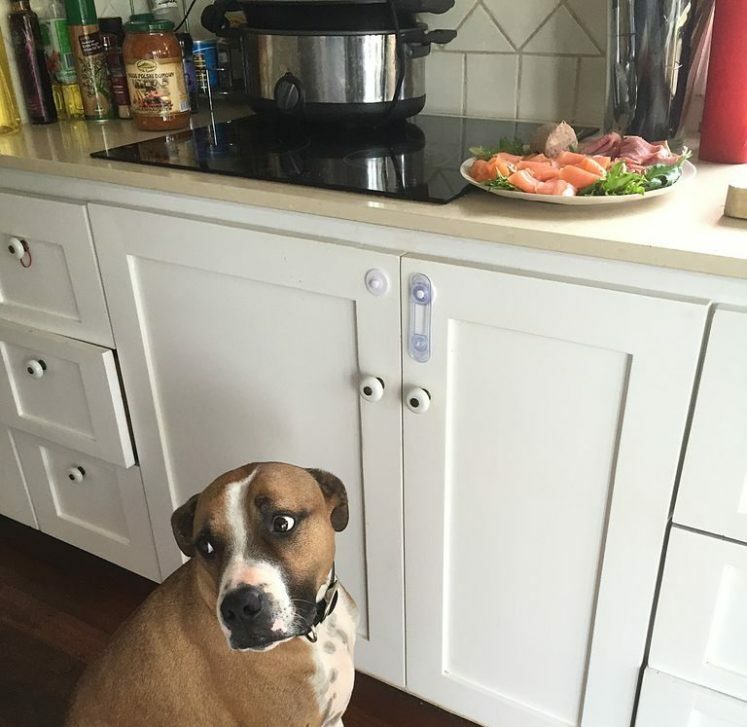 With all this in mind, it might seem like a good idea just to keep your dog out of the kitchen altogether! The easiest solution for keeping your dog out of the kitchen is simply to set up a physical barrier in the doorway. If your kitchen has a door, keep it closed at all times. If your kitchen doesn’t have a door, baby gates are available in a variety of styles, and are usually quite secure when used properly. This strategy has a few drawbacks, though. First, physical barriers also inconvenience the human members of your family. They may also be less than feasible for houses with wide-open layouts or entrances any wider than a standard doorframe. That’s why training might be the better option. Training your dog to stay out of the kitchen is all about making it perfectly clear that they aren’t allowed to enter. First, set up a visible barrier between the kitchen and the next room. If they have two different kinds of flooring, like tile and carpet, this will probably work on its own. If not, a simple piece of masking tape across the door frame will work. This will help create a boundary in your dog’s mind before training even begins. Sit down with your dog at the entrance to your kitchen once the boundary is in place. Sit in the kitchen, facing your dog on the other side. If they try to enter, gently tell them “no, out of the kitchen” and urge them back out of the room. Once they’re past the boundary, praise them. Do this several times, even using treats to try and coax them into the room. Be calm and consistent. In the long-term, you will need to take a zero-tolerance approach to your dog’s presence in the kitchen. If they enter while you’re cooking stop what you’re doing immediately, make eye contact, and advance toward them so that they have to retreat. If they move to the left or right, match them and keep advancing. Keep moving until they’re out of the kitchen. Repeat this every time they enter the room! A good tool to help you train your dog stay out of the kitchen is an indoor dog containment system from DogWatch®. 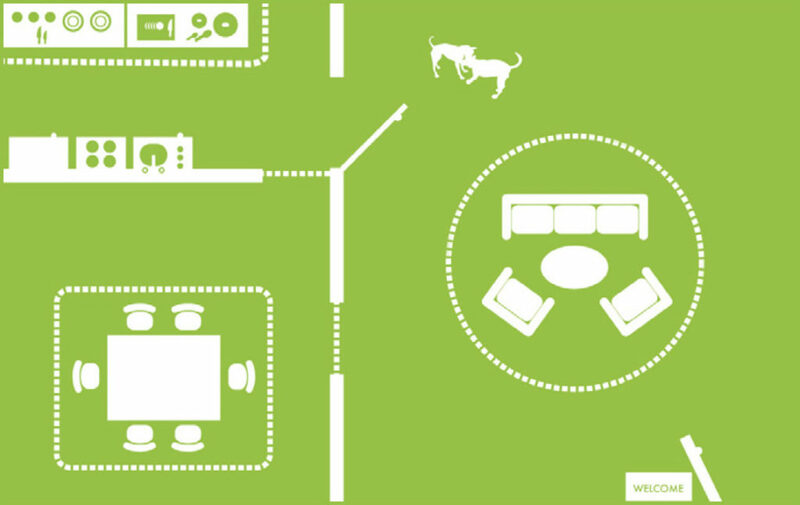 DogWatch systems set up invisible electric boundaries in your home, delivering gentle electric signal that reinforce their training. If you’re in the Western Massachusetts area and want to learn more about DogWatch indoor pet boundaries, specialized perimeter training, and more for you and your dog, get in touch with DogWatch of Western Mass today!